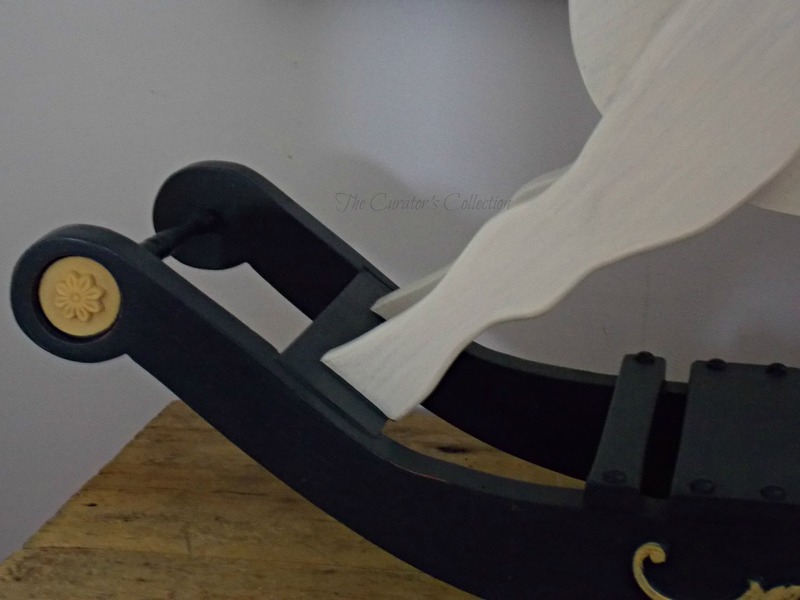 This rocking horse will be the perfect gift for a little boy on his first birthday! 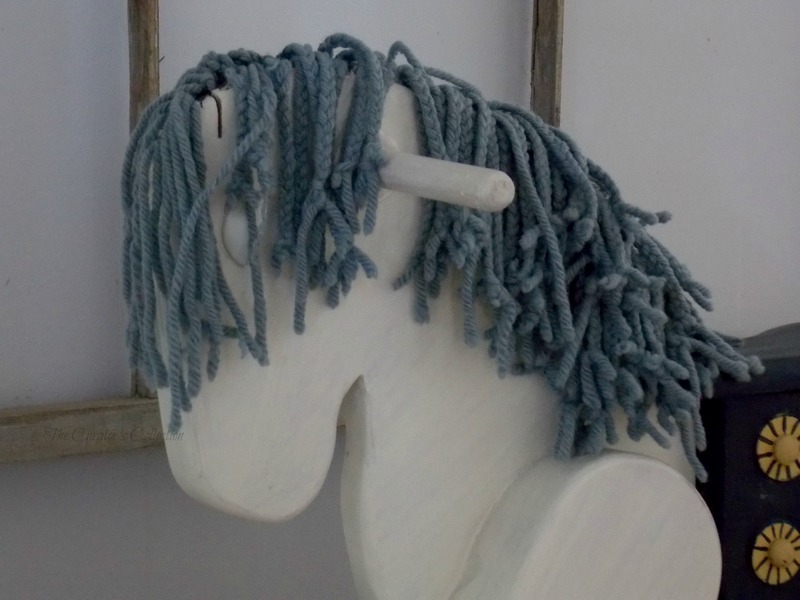 I was kind of surprised when I was asked if I would paint this little horse as I only ever do furniture. I had done this piece earlier this year for a lady and her husband. Oh how I loved this piece! Well now they wanted me to do another for them… a horse … for a first birthday! Wow! Honored! … but mostly nervous! I paint FURNITURE not toys! Important toys at that! I mean, it is a 1st ever birthday and that’s pretty important. Worst of all…” they trust me and whatever I do to it they’ll love!” … Pressure? Totally! Here is what I decided to do with it. At first I had the great idea of really making it colourful. 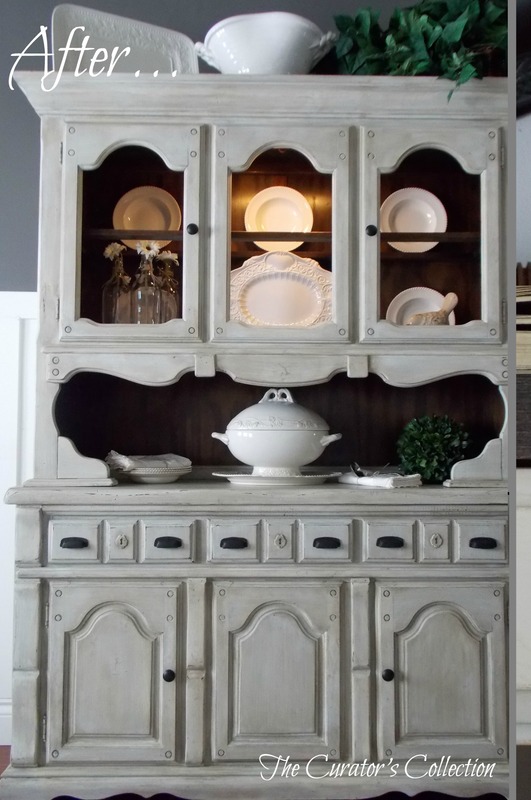 I knew I was going to use milk paint to paint it so I went out and bought one of almost every color of milk paint in the sample packs. But … as I began sanding it down ( not a fun job because of all the tiny nooks and crannies … took at least 2 hours to get every inch!) I started to feel like this was more of a “calm” horse. Not a wild crazy horse. One that if left out in the living room, would be more ornamental than just a toy for a one year old. Not an eyesore. In the end I decided that “less” really is “more”. Because this little horse already had a blue mane and tail I decided that the theme should be just that …..blue and white and mustard seed yellow to accent it! I used MMS Linen for the body, MMS Artissimo for the saddle and rockers and then MMS Mustard Seed Yellow for the accent colours on the saddle and rockers. I sanded the whole piece lightly distressing the edges here and there. Perfectly imperfect! I decided that as someone who does not paint or draw very well, that I would not add eyes to the horse. I did an experimental eye a few times on some scrap wood, and each time they just looked down right creepy! So I decided to leave them off and if the parents of the little one wanted eyes then someone more qualified could add them easily. I don’t want to be responsible for any therapy needed for this little boy in the future! Ha, ha! 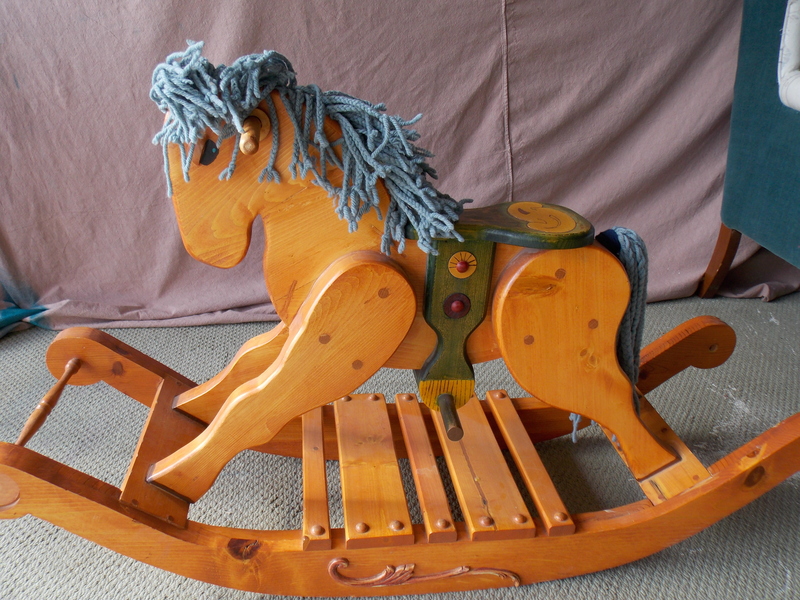 I did google images of painted rocking horse faces and found them all to look a little less than classy … more creepy. I opted for none. The bangs and mane of the horse cover the eye area anyway. I think this little horse is simple but sweet. It’s not over stimulating but still invites you to get on and ride. I hope this little horse sees many miles and lots of adventures at his new home. There is a carving on the underside with the name of the fellow who made him and a date. I was going to take a picture of it but forgot. I tried not to sand it off when I was prepping as I thought this would give it some nice history. Hope this is the best birthday ever for this little boy! Just a reminder that the Making Broken Beautiful Linky Party begins tomorrow! 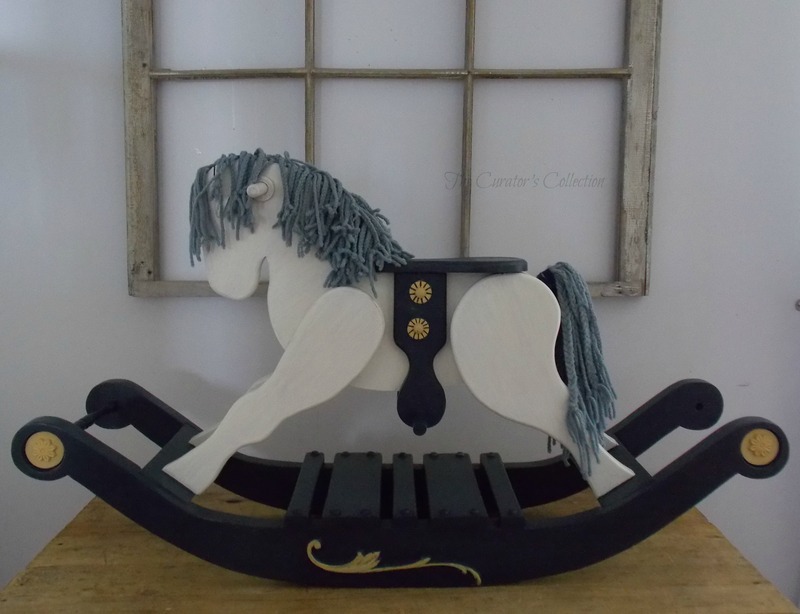 Terry, I LOVE what you did with the rocking horse!!! It went from big and 80s hulky looking to gorgeous and classic. Love it! 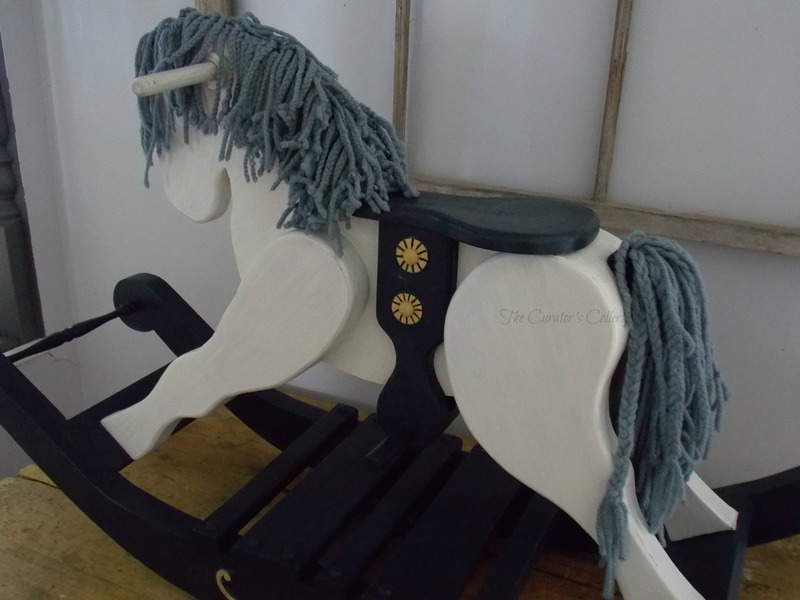 Funny thing is, I have a very similar, but not as nice, wooden rocking horse I found at a thrift store to give to my “baby” who’s turning 2 in a few weeks. I was debating whether or not to paint it, but now I feel all the more convinced! I had actually been contemplating using the same colors too, maybe it’s just confirmation. Ha! Now to order paint in time since I live at the ends of the earth. ;) Thanks for your inspiration and your furniture parties as always!!! Have a fantastic day! Awe Cheryl! You are so sweet! It’s hard when your baby turns 2! It’s hard to know that the “baby” stage is soon no more! I cried when my twins turned 1 and then 2 and then 3 … now they’re 10 and I’m still bawling! (mostly because I know I’m getting old too! ha) Enjoy your baby … it goes by sooooo fast! Hope you have a great weekend and a memorable 2nd B-day party! Thank you for always leaving such sweet comments! Ridiculously perfect! I did not expect it to look as fab even though I know you are capable of fixing ANYTHING. Love it! You are too kind! I didn’t expect it to look that good either! Ha! Wow! That is a beautiful transformation! I love it! Anyone would be very lucky to have that in their home. Thank you Carin! Thank you for taking the time to say so! Hope you have a great weekend! What a perfectly sweet birthday gift! I turned out just lovely! Thanks so much for linking up with us at The Creative Circle! Thank you for taking the time to comment and thank you for hosting such a fun party!